Inadequate communication regarding hazards. OSHA regulations require that employers that use or distribute hazardous chemicals provide workers with adequate and understandable information concerning the nature and hazards associated with the chemicals. Employers are also required to provide training to the employees to ensure that the chemicals are handled appropriately. Unsafe scaffolding. OSHA has extensive regulations concerning the construction and use of scaffolding. Failure to provide respirators or other breathing protection. OSHA mandates specific requirements for when respirators must be used and standards for respiratory protection. Failure to install or use safety features to prevent burns, electrocutions, and other injuries. For example, employers may be required to install lockout mechanisms designed to automatically cut off the power to machinery in order to prevent injury. Unsafe use of forklifts. Employers can violate OSHA standards by failing to ensure that employees are adequately trained and using forklifts in a safe manner. Unsafe practices when working with electricity. OSHA has detailed regulations regarding the construction and use of electricity on job sites. While some job sites are more hazardous than others, every employee faces certain dangers wherever they work. Some accidents just happen, while others are the result of the employer’s failure to adhere to government-mandated safety regulations. 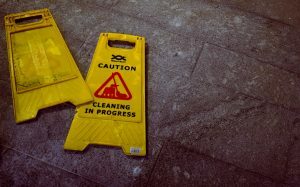 Employers who fail to abide by safety regulations may be negligent, and therefore may be held liable for your injuries. Unfortunately, employers rarely admit it when they are at fault, and may even go to great lengths to cover up their guilt.